It looks like Monsanto could soon go the way of many missing airplanes in the Bermuda triangle. Following a recent study on Monsanto’s best-selling herbicide Roundup and its main chemical ingredient glyphosate, Bermuda has decided to suspend any importation of glyphosate/Roundup until further research give reason to lift the suspension. Apparently, there are still some countries that haven’t been completely infiltrated by Monsanto. 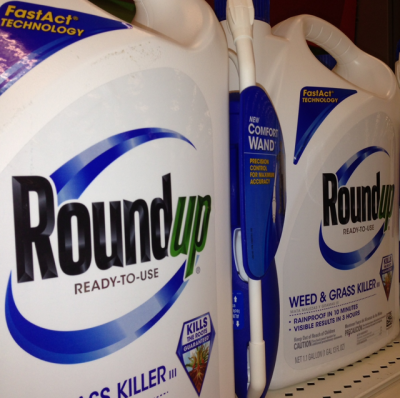 Bermuda’s health minister has recently issued a declaration temporarily banning any further imports of Monsanto’s best selling chemical, Round Up, due to its glyphosate content. This decision clearly comes following the World Health Organization’s declaration of glyphosate as ‘probably carcinogenic.’ Other nations have already expressed concern, and are considering bans themselves. And while nations don’t take a stand, retail stores are taking matters into their own hands, halting the sale of glyphosate-containing products. Bermuda’s immediate action should be applauded. “The Ministry of Health, Seniors and Environment is committed to promoting safe practices as part of our stewardship of Bermuda’s delicate environment. Technical officers stay abreast of trends and scientific developments to ensure that our regulation of all aspects of how we influence the environment around us remains safe and in keeping with best practice. The International Agency for Research on Cancer (IARC), the specialized cancer agency of the World Health Organization (WHO), recently asked a group of experts from around the world to spend a year examining the data from peer-reviewed studies about Glyphosate, which is the active ingredient in Roundup. As a result of this research, the (IARC) reported that it had assessed the cancer causing risk to humans of five pesticides including glyphosate. According to the assessment, the herbicide glyphosate along with two other insecticides were classified as probably carcinogenic to humans. This description is used when there is limited evidence of cancer causing effect on humans and sufficient evidence of it in experimental animals. Limited evidence means that a positive association has been observed between exposure to the agent and cancer but that other explanations for the observations could not be ruled out. This category is also used when there is limited evidence of cancer causing in humans and strong data on how the agent causes cancer. Effective immediately, all importers of glyphosate/Roundup will be notified that the approval for all glyphosate products has been suspended, pending the continuing assessment of the emerging research. Our hope is to complete the assessment within six months. However, orders placed for glyphosate will be honoured, with proof that the order had been placed prior to today, May 11th, 2015. Whilst the restrictions will take effect immediately; there will be a grace period of 14 days from today for current importers of Roundup during which they can make application at the Department of Environmental Protection to import small quantities of low concentrations of Roundup. No further applications for the importation of glyphosate will be processed during this evaluation period. I have also asked the Toxicologist at the Health Department to collaborate with the Government Hydro-geologist and jointly conduct research to determine if any of the break-down products of glyphosate are present in the ground water and inshore waters. A report of findings will be prepared. Once this important research and assessment is completed, the Government’s final determination regarding Roundup (glyphosate) will be made clear for the public.